2018 has been an interesting ride at Agri Magic. I planned for it, built the budget and have held on for the ride!! After about February the budget needed a complete rewrite and by July things were looking rather different to how I had imagined them (sound familiar?). We have negotiated many things this year and I owe a lot to the wise team of friends and advisors that have helped us with each new turn. It is no walk in the park managing a business through changing times, but we are loving the challenge! Now, in December, we are definitely looking forward to a wee breather. I’m stoked to say our team is stronger than ever, they have grown a little in number and much in capability. My role has changed markedly as the scale of Agri Magic has changed. I now rely so much on the wider Agri Magic team but my daily focus is still the same; we are all here to support your farming future. Thank you once again for choosing to work with Agri Magic, (both farmers and allied professionals), we appreciate your loyalty, are conscious that you have options, and that we must continue to provide you with value. We are aware that the introduction of nutrient related constraints is impacting the expense side of farmers Profit and Loss! Agri Magic exists because we want to support you in negotiating these changing times and with the ever-increasing costs associated with the processes, it is so important to us to identify ways to help you turn that cost into value for your business. I have included a short article at the end of this note to outline how we think we might be able to support your farm businesses in turning the cost of compliance into value over time. Read on if you are interested! Our last day of 2018 will be the 21 December and the office reopens on the 7 January 2019. We are planning another field day for our customers on April 4 2019 so mark it on your calendar now, we would love to see you! Thank you, our friends and customers, on behalf of all of us at Agri Magic. We wish you and your loved ones a safe, Merry and Magical Christmas. We look forward to working with you some more in 2019. Nicci Delahunty joined us just this month as our new Farm Environment Planner. Nicci grew up on a sheep and beef farm before undertaking study towards a Bachelor of Applied Science in Natural Resource Management and Forestry at Massey University. She has worked in environmental planning related roles overseas and in New Zealand. Her previous role was as a Land Management Advisor at Environment Canterbury. Nicci also juggles a busy family life, bringing up three young boys together with her husband Shane. It is great to have Nicci involved to help negotiate the consents process. 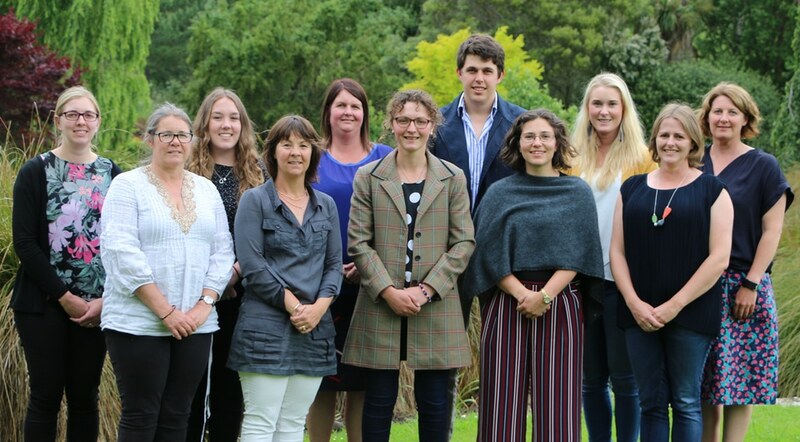 Zoe Haylock arrived back from her OE and started as a Junior Farm Environment Consultant in July. Zoe has plenty of farm experience and in combination with her recently acquired academic knowledge (B Ag Sci (Hons) from Lincoln University), she is learning to support farmers through the nutrient budgeting and farm planning requirements. Zoe is a keen equestrian and is actively involved in her local community. Olivia Cunneen began in November, having only completed her university study (B. Ag from Lincoln University) this year and joining us as a Junior Farm Environment Consultant. Olivia is also a farm girl at heart, she is another Mid Cantabrian and grew up working alongside her Mother and Grandfather on their family farm at Ealing. They join our existing team of Anna Higginson, Angela Harvey, Shannon Corbett, Roshean Woods, Chris Beatson, Kaylene Fenton, Denise King, occasionally Ali van Polanen, and myself.